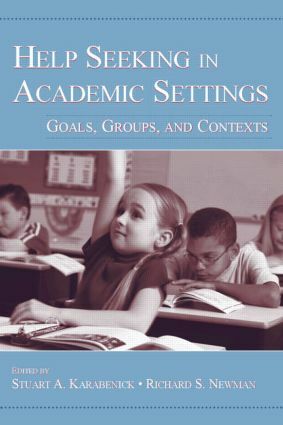 Building on Karabenick’s earlier volume on this topic and maintaining its high standards of scholarship and intellectual rigor, Help Seeking in Academic Settings: Goals, Groups, and Contexts brings together contemporary work that is theoretically as well as practically important. It highlights current trends in the area and gives expanded attention to applications to teaching and learning. The contributors represent an internationally recognized group of scholars and researchers who provide depth of analysis and breadth of coverage. *help seeking in non-academic settings such as the workplace. This book is intended for researchers, academic support personnel,and graduate students across the field of educational psychology, particularly those interested in student motivation and self-regulation. Implications and Future Research: Where Do We Go From Here?